Ellen Mastenbroek (left) is professor of European Public Policy and coordinator of multidisciplinary research group EUROPAL (Europeanization of Policy and Law) at Radboud University. 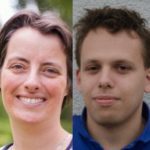 Stijn van Voorst (right) is a Phd student at Tilburg Law School (Tilburg University) and part time junior lecturer at Radboud University. Based on Ellen Mastenbroek’s inaugural lecture ‘More than the sum of its parts’, held at Radboud University, 15 September 2017 and two related articles (Van Voorst and Mastenbroek, 2017; Mastenbroek et al, 2016). In this contribution, we critically assess the EU’s system for ex-post evaluation, using fresh empirical data. We find that the Commission has not met its repeated ambition to produce systematic and high-quality ex-post evaluation of all important EU legislation. Both the coverage and quality of ex-post evaluations have been variant. This lack of systematic high-quality evaluation is problematic, as such evaluations can fulfill important functions in the EU policy cycle: learning, accountability and improved enforcement. It also bring strategic risks for the Commission, primarily reduced credibility.